We love reading Nourished Life reviews from YOU, our amazing customers! We have over 75,000 Nourished Life product reviews across thousands of natural goodies - we love hearing your feedback on everything you have tried and tested, but best of all we love to hear about your Nourished Life experience. Your Nourished Life reviews let us know what you love about shopping with us, give us awesome new ideas and help us come up with new systems to make it even better for you! "Love love love it! Love the products and being able to read reviews before purchasing. Love the free shipping for members and love the rewards system. My only problem is, whenever I'm due to order something I spend way too much time on the site! " "I may have developed a slight obsession with Nourished Life! I have had a similar experience to Irene, with health issues leading me to question what's in the products I use. I've made the switch to low tox or no tox in all my cosmetics, cleaning, skincare and personal care products and those my whole family uses. Nourished Life has made the transition simple and relatively affordable (replacing every product in the house was never going to be a cheap process!) I love the range, I love the Life Basics brand, free shipping (and the express shipping is super fast if you need it), the rewards program - as I said, I'm obsessed :-)"
"I order lots of great products on here from makeup to washing powder, deodorant and hairspray! Website is super easy to use with descriptions and ingredients for products always available so you know exactly what you are getting. Service is great and parcel always arrives quickly. What's not to LOVE!" "I absolutely love Nourished Life. Irene you must be a lovely caring woman with amazing intuition. Your website would have to rank among the best for choice, delivery of products, delivery of products, and it only takes to become a member to get free delivery. I could go on but you cover it all. When I'm looking for a specific product I go to NL first every time. Love your work!" "Not a bad word to say about this wonderful shop! Amazing customer service, amazing products and free shipping! Couldn't ask for anything more. Also love that there is always new products coming in. 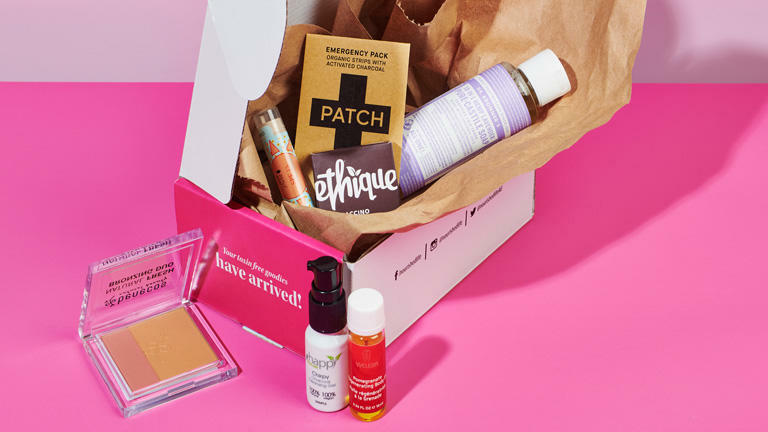 Have now subscribed to the Monthly Sample Box cant wait to get my first box next month! Wonderful, amazing, fantastic Nourished Life is everything you want in a company :) also they have a great rewards program and you get rewards for reviewing products you buy which is awesome!" "I am in LOVE with this store! I have been in search of non-toxic products for the last 16 years, when it was REALLY difficult to find anything. As more products became available it took A LOT of time researching and buying one or two items from lots of different online sources and paying lots of postage..... and then Nourished Life came about! My HEAVEN. Everything I could ever need all in one store, online with FREE postage and REWARDS for shopping. I am so joyous to have so many product choices, so easily available. My life has become so much easier and happier since I started shopping at Nourished Life and I no longer had to research product labels and ingredients myself! THANK YOU Irene and your wonderful team for making this a reality! <3"
"I always love my shopping experience on and instore at Nourished Life! Quick delivery, sweet loyalty program that saves me money every time I shop, the frequent sales and the search filters. It's great to have a website that has Vegan/Cruelty Free search filters so I can find the products I like super easily"
"I think Nourished Life is something Australia has been needing for a long time...I'm so happy with the customer service and how friendly and helpful everyone is and knowing that all the hard work of checking ingredients has been done for me, leaving me to shop, place my order and get on with life.....well done Nourished Life I'm now a life long user 😊"
"Five stars - IN LOVE WITH NOURISHED LIFE!!!!!!! AMAZING vegan/organic/ toxic free products and great customer service (the girls will help you with whatever you need and the naturopath via email is also super informative). The rewards system is also fantastic and you even get store credit for reviews you make. Also a side note but Irene (the founder) is honestly someone who young girls should look up to for her admirable work ethic, commitment to morals and ability to grow a business. Definitely worth supporting Aussie businesses like this <3"
"This site is what inspired me to switch to organic products, and I'm glad I did! I love the huge array of items, fast shipping and wonderful customer service. I also appreciate how quickly customer care replies to queries or issues. Cannot recommend highly enough!" "Want the truth? Basically, I won't buy personal care/beauty products that aren't recommended by Irene. Nothing negative to say about this business. Thankful for the vast array of products & knowledge." "I have always had a few problems with my skin, but the products recommended to me from Nourished Life have really helped. Being vegan, where products come from and what goes into them is really important to me. The staff at Nourished Life are always ready to answer questions about products related to their use and what is in them. Can't recommend more!" "I have such a wonderful online shopping experience every time I shop with Nourished Life. I have such peace of mind knowing that I can trust that the products they stock are genuinely natural, organic and cruelty-free. The service is so warm and friendly, and their delivery process is super speedy. It is so wonderful to have found an online store that not only stocks the most extensive range of genuinely eco-friendly and organic beauty products, but maintains such integrity and passion in their dedication to encouraging all of us to live a natural and cruelty-free life!" "I absolutely love Nourished Life! So many wonderful toxic-free beauty products, all delivered to your door, and Irene is always so helpful. I'm a seasoned toxic-free product user, but for those making a change from mainstream products to toxic-free and organic, Irene at Nourished Life can help and advise on any products to replace your existing chemical-filled ones. Her products are all tried and tested and she only stocks 100% natural and/or organic products with ZERO hidden nasties! My favourite place to shop for gorgeous toxic-free goodies!" "Nourished Life is my go-to online shop for all natural body & skin care products. Irene has taken the hard work out of it because she has done the research, so I am confident that when I make a purchase from Nourished Life I am getting high quality products. Receiving my order is like Christmas morning all over again, I can't wait to open up the wrapping and see what's inside the gorgeous box! Any queries I've had have been answered promptly and professionally by Irene and her wonderful staff. I highly recommend Nourished Life to anyone that is looking to nourish their skin and body with the best products around. Thanks Irene and the Nourished Life team...love your work!"